A set of integrated applications that help human resource professional in maintaining a company’s human capital is called a recruitment management system. In other words, using a recruitment management system helps human resource management (HR) with hiring and retaining employees. Keeping track of employee careers, starting at their hire date, the HR department of a company can manage, compile and store valuable data about their workforce. They’re able to track multiple points of an employee’s time spent at the company and use that data to recruit and hire more efficiently and effectively. Talent management software and systems can also help HR identify future organizational leaders through the data they compile and store, as well. Recruitment – Easy to find applicants that are beneficial for the company and can help organize applications through the use of ATS (application tracking system). Performance Management – Define and track employee goals and progress. Learning and Development – Provides new employees with training and materials needed to gain the skills they need for working. Offers seasoned employees an opportunity to further their skills with certifications and courses. Compensation Management – Helps ensure that employees compensation reflects their efforts. 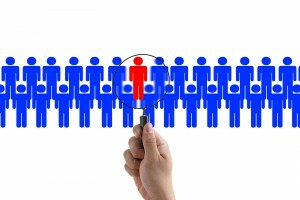 It’s possible that your company already uses a human resource information system (HRIS) for help with employee records, information and more, but it’s thought by experts that recruitment management systems help companies recruit, retain and develop employees that offer more benefits and skills in the workforce. A free recruitment management system not only saves you a lot of money, but they also save you a ton of time tracking applicants and keeping your recruiting efforts organized. If you’re interested in reducing the time it takes to recruit and hire employees, try Recruiteze today! Recruiteze allows candidates to apply, and be added to your database immediately, in an online, user friendly way. End-users can access candidate resumes online and make changes quickly and easily. Tracking talent has never been easier with your included custom job board as well. It allows candidates and customers easy access to information, and creates a level of professionalism that’s expected in today’s marketplace. If you’re you tired of spending hours of your day formatting resumes, try iReformat. iReformat is free recruiting software that allows you format your daily resumes in a time efficient manner without hassle. iReformat also comes with a free basic memberships and other packages start at just $10 a month. To use iReformat, click here. If you’re interested in learning more about these systems, and how it can benefit your business, contact Recruiteze, today!